Home / Unlabelled / KWARA UNITED WOES CONTINUES AS THEY SUFFERED A HOME LOSS TO RIVERS UNITED. 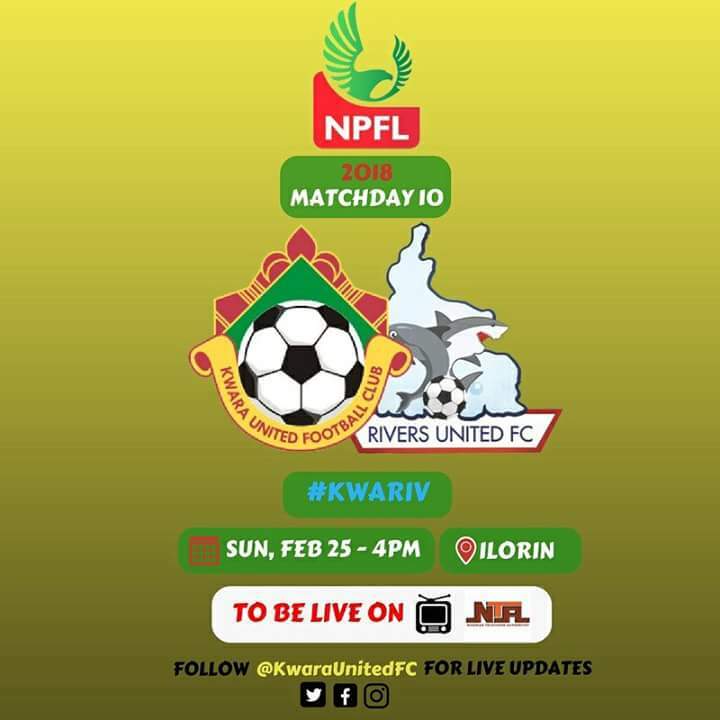 KWARA UNITED WOES CONTINUES AS THEY SUFFERED A HOME LOSS TO RIVERS UNITED. A very unfortunate 94th minute goal from Chikere Osita of Rivers United was more than enough to extend the woes of John Obuh's Kwara United. The Afonja warriors have struggled since the beginning of the season despite emerging division leaders in their NNL group in 2017. As at the end of match day 10, the Ilorin team have only managed to secure ten points in ten league matches and are seated uncomfortably on the 19th position of the table ahead of Sunshine Stars who suffered point deduction from the LMC.